Pakistan Telecommunication Company Limited (PTCL), Pakistan’s leading telecommunications services provider and LMKT, an award-winning full-service Technology company based out of Islamabad, are pleased to announce the formal inauguration of National Incubation Center (NIC), Peshawar funded by the Ministry of IT&T and Ignite Fund (formerly known as National ICT R&D Fund). 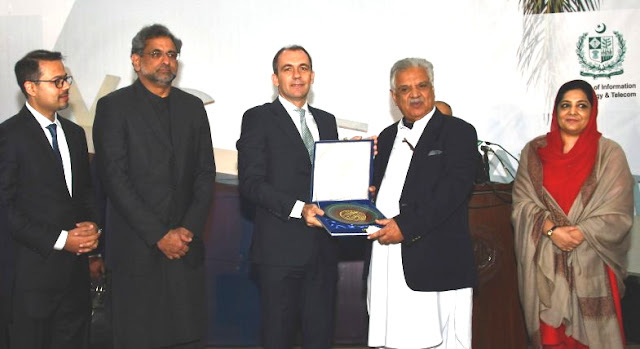 The launch ceremony was graced by the Honorable Prime Minister of Pakistan, Mr. Shahid Khaqan Abbasi as Chief Guest, along with Governor of Khyber Pakhtunkhwa, Mr. Iqbal Zafar Jhagra, Minister of IT&T Ms. Anusha Rahman, and other renowned dignitaries from the public and private sectors. A generous 12,000 sq. ft. facility in the heart of Peshawar at PTCL Training Center has been earmarked and repurposed to incubate more than 25 handpicked startups each year. NIC Peshawar will be equipped with the latest ICT infrastructure offering high-speed connectivity, seamless audio and video conferencing facilities, fully-managed IT and telecom services, among others. Incubatees will have access to comprehensive mentoring services allowing them to seek guidance and support on design thinking, business planning, financial and operational aspects related to their startups such as marketing and communication, legal services, etc. NIC Peshawar will provide the access to investors to support technology driven disruptive startups.